Rep. Alexandria Ocasio-Cortez’s climate alarm shouldn’t surprise anyone given the continuous doomsday narrative. Since the U.N.’s October 2018 report, the news has been jam-packed with dire climate predictions and calls to action. Ocasio-Cortez wants her generation to treat global warming like World War II. In fact, Ocasio-Cortez followed up her remarks from Monday night with a couple tweets doubling down on her 12-year warning, but also showing she didn’t make it up. 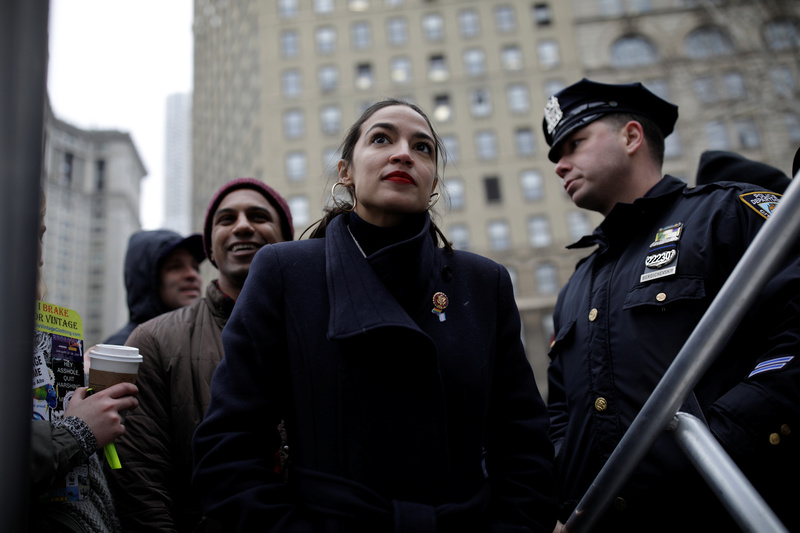 Rep. Alexandria Ocasio-Cortez looks on as she awaits to be introduced to the crowd of supporters during the Women’s March NYC demonstration at Foley Square in the Manhattan borough of New York City, January 19, 2019. REUTERS/ Jose Alvarado Jr.